AKRON, Ohio, July 10, 2009, when it comes to aviation, few sights can quicken the pulse like competitive air racing. While the action in the sky gets the attention, Goodyear has been making it possible for these mid-air magicians to take off and land with confidence for a century. Two of the legends of the air will be appearing together July 29 at EAA AirVenture Oshkosh, "The World's Greatest Aviation Celebration." The event is an aviation convention, complete with a world-class airshow, more than 2,000 aircraft on display and the chance to meet many of the heroes of aviation. Two of those heroes - Bill Brennand and Michael Goulian - will be guests of Goodyear, side-by-side in the company's exhibition area on the grounds of Wittman Regional Airport in Oshkosh, WI. The free autograph session will take place at Booth B2131, Wednesday, July 29 from 11 am to 12 noon. 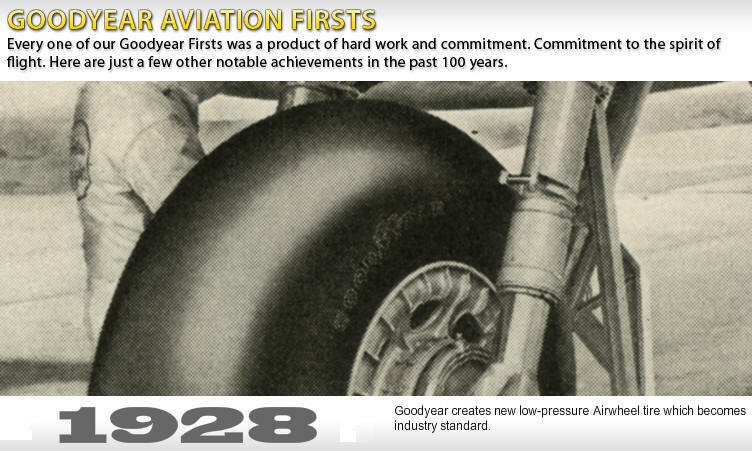 In 2009, Goodyear is celebrating the 100th anniversary of its aviation tires. While much of the day-to-day business focuses on conventional applications - such as commercial and military aircraft and business jets - the company also has a storied heritage of innovation in air racing, one that continues today. Goodyear Aviation is the 2009 Official Global Supplier of aircraft tires for the Red Bull Air Race World Championship. Goodyear's history in the sport goes back all the way to 1909, when racing pilots at the International Air Races in Reims, France, selected the Goodyear Wing "Aeroplane" tire for their planes. Likewise, one of the early American air racing stars chose Goodyear for his competitive career. The 39-year-old Goulian has been in the performance aviation business since he was just 18. Like Brennand, he flies only with Goodyear tires on his aircraft. Both his custom-built Castrol Aviator Extra 330SC for air shows and his Edge 540 for Red Bull Air Races are equipped exclusively with Goodyear Flight Custom III(TM) and Flight Special II(TM) Tires. Goulian has been a member of three US World Aerobatic teams and is a past US National Aerobatic Champion. Though from different eras, both men are acknowledged pioneers of the skies for their competitive racing and blue-sky aerobatics. And both are connected by virtue of their affiliations with Goodyear, two faces of innovation in the company's 100-year aviation history. Goodyear is the world's largest supplier of aviation tires for commercial, military and general aviation aircraft.